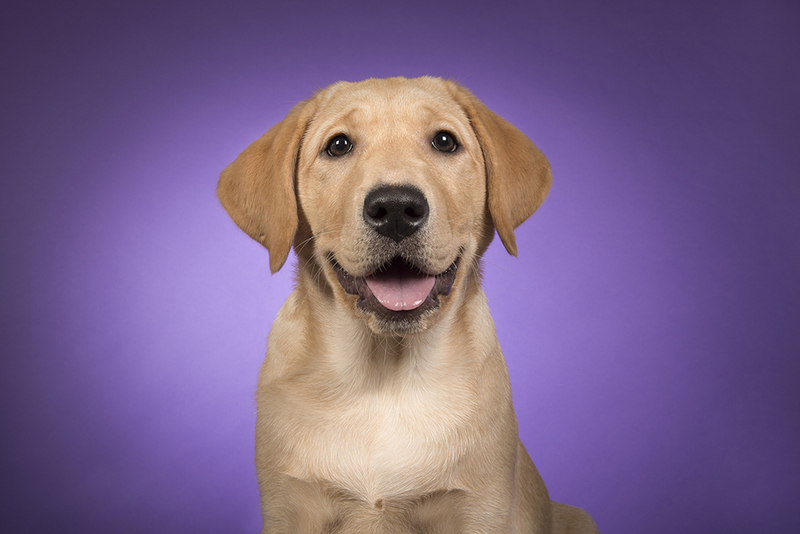 Purple Day® for K9 Epilepsy Awareness – Show Us Your Purple! Purple Day® for Epilepsy is observed annually on March 26th. Why purple? Because the color lavender is the international color for Epilepsy awareness. Purple Day was founded in 2008 by then nine-year-old Cassidy Megan, who has Epilepsy, along with the Epilepsy Association of Nova Scotia (EANS). The following year, the Anita Kaufmann Foundation (AKF) of New York teamed up with EANS to launch Purple Day internationally, and today, has teamed up with the AKF for their Purple Day Every Day initiative to encourage people to “go purple” on March 26th, and every single day all year long to support Epilepsy awareness. While Epilepsy affects humans, it also affects pets, including thousands of dogs from all different breeds and mixes across the globe each year. Known as Epi-dogs (epileptic dogs), a diagnosis does not mean euthanasia for a dog, as it once did. Today, there are many medications, treatments, and protocols to help a dog live a very happy life with Canine Epilepsy. Through my FiveSibes™ #LiveGibStrong K-9 Epilepsy Awareness and educational campaign, which was inspired by my own Epi-dog, Gibson, a wooly Siberian Husky, it is my hope and goal to continue to help other families who find themselves and their beloved dog(s) on this journey of life with Epilepsy. Epi-dogs are amazing, and with special care and a lot of love, they can—and do—live happy, full lives, for however long we are blessed to have them. Epi-dogs embrace life, the same as a dog who does not have Epilepsy. Epi-dogs love to play, swim, and pull sleds, compete in shows and dock diving, go hiking and bikejoring with their humans, play Fetch, race around a dog park with canine buddies, and snuggle up on the couch with their human families. According to PurpleDayEveryDay.org, “Anita Kaufmann understood that it is people affected by epilepsy who will be the ones to create a kinder world for persons with epilepsy. And this change has to happen every single day!” Education starts with each and every one us. It can be something as simple as wearing something purple, sharing your story about a loved one who lives with Epilepsy – human or canine, or baking purple cupcakes to share with friends, coworkers, or classmates! Whatever you do, start a conversation! 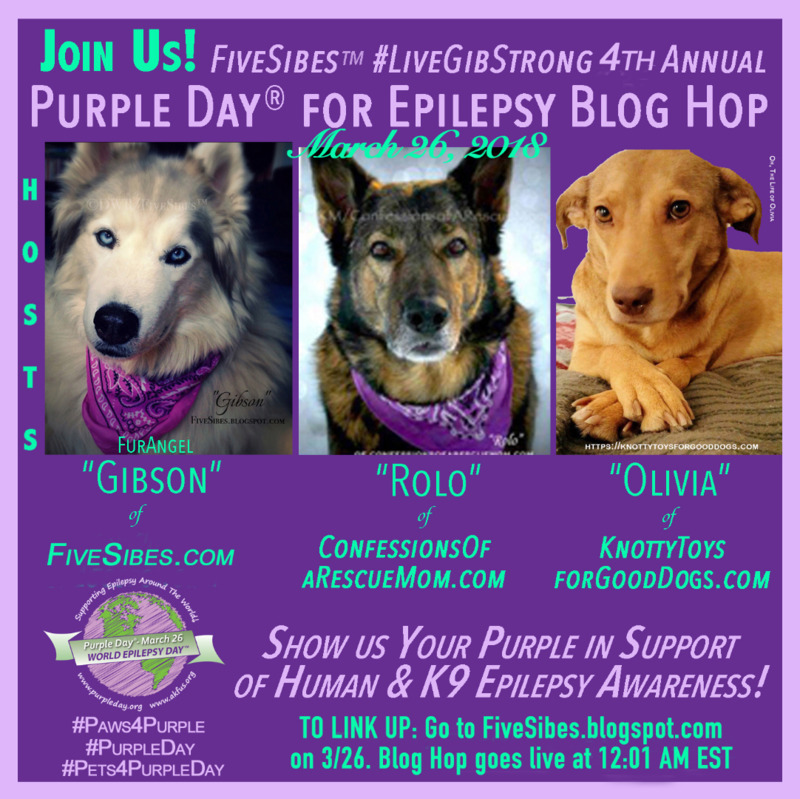 Join our FiveSibes #LiveGibStrong Annual Blog Hop on March 26th at www.FiveSibes.blogspot.com and link-up with your purple photos for Epilepsy awareness on social media! Blog Hop starts at 12:01 AM EST on March 26th. Post Pics of your Pets in Purple on Your Social Media and hashtag #Pets4PurpleDay. Watch our FiveSibes Purple Day Video together, share, and have a conversation about Epilepsy awareness. Host a K9 Epilepsy Benefit Walk and dress your pup in a purple bandana. Hold a Purple Day Benefit Purple “Pup”Cake & Treat Sale at your local shelter or rescue. For More Ideas & Events, visit http://purpledayeveryday.org/. Epil-K9 Foundation’s Emma’s Fund through North Carolina State University’s College of Veterinary Medicine Neurology Department. (canine-epilepsy.com). Local non-profit rescues for assistance with their rescued or fostered Epi-dogs vet bills. Together, we are changing the face of Canine Epilepsy and removing the previous stigmas about dogs with seizures. Education is key and sharing IS caring. The more information people have about Canine Epilepsy, the more these beautiful and amazing dogs can be saved and live happy lives. And, hopefully, through awareness, support, and education, folks will be encouraged to adopt a dog diagnosed with Canine Epilepsy. While the journey with an Epi-dog is not always an easy one, the incredible bond between an Epi-dog and his/her family is one that will bring much joy and love to both human and canine. Now, show us your purple! Dorothy Wills-Raftery is an award-winning photojournalist and author of EPIC Dog Tales: Heartfelt Stories About Amazing Dogs Living & Loving Life With Canine Epilepsy; the FiveSibes™ Tales children’s books: What’s Wrong With Gibson? Learning About K-9 Epilepsy and Getting Healthy With Harley: Learning About Health & Fitness; and Buddy, the Christmas Husky~Based On A True Holiday Miracle books (ArcticHouse Publishing), as well as the FiveSibes.com, an online encyclopedia for the Siberian Husky breed and Canine Epilepsy information, as well as her international award-winning FiveSibes blog, based on the lives of her five Siberian Huskies. Her work has also appeared in American Pet Magazine, Ruff Drafts, The Sled Dogger, and Hudson Valley Paw Print Magazine. Dorothy is the writer and host of "The Sibe Vibe” Dog Works Radio show. Dorothy is a 9-time Dog Writers of America Association “Excellence” nominee, winning the prestigious Maxwell Medallion in 2017 and 2016 for her writing, photography, and design. Her book EPIC Dog Tales: Heartfelt Stories About Amazing Dogs Living & Loving Life With Canine Epilepsy received the 2018 Independent Press Award for “Excellence” in the Reference Book category and 2017 NYC Big Book Award for “Excellence” in the Animal/Pet book category. Dorothy was also named “Best Author” in 2015 & 2016 by Hudson Valley Magazine and all four books named “Best in Print” by American Pet Magazine, An official International Purple Day® for Epilepsy Ambassador since 2012 and a volunteer case manager for The Wally Foundation-Canine Epilepsy, Dorothy is the creator of the FiveSibes #LiveGibStrong K-9 Epilepsy Awareness campaign and partnered with The Anita Kaufmann Foundation for #Paws4Purple Project, both inspired by her own epileptic Husky, Gibson. 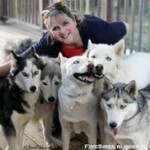 In addition to her Siberian Huskies, Dorothy shares her home­ with her husband, daughter, son-in-law, and grandson. You can follow Dorothy and her FiveSibes on Facebook at FiveSibes: Siberian Husky K9 News & Reviews, on Google + , Twitter, and Instagram(@FiveSibesMom).